Sainsbury Car Park provides parking for up to 2 hours and costs £1 per hour. 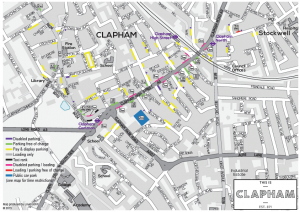 Open between 7am and 11pm and accessed from Clapham Park Road, SW4 7EE. 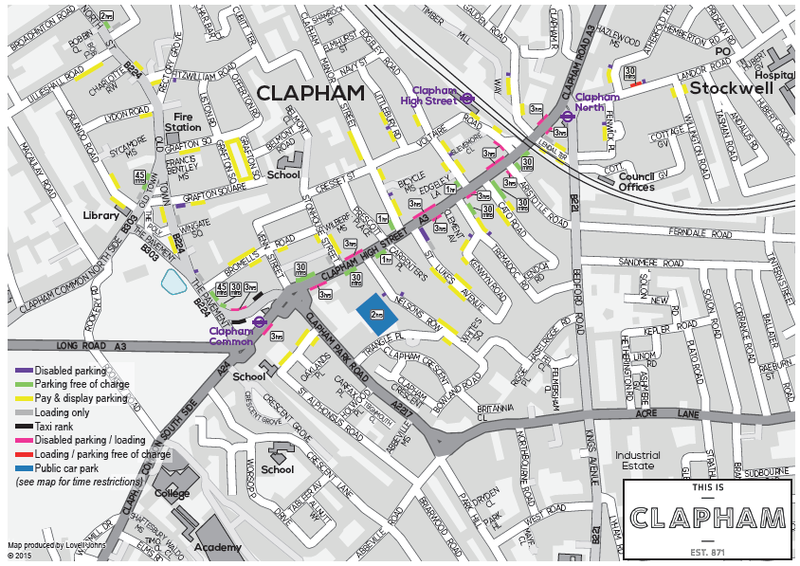 On Street Parking is available on side streets around Clapham at a cost of £3 for up to an hour. 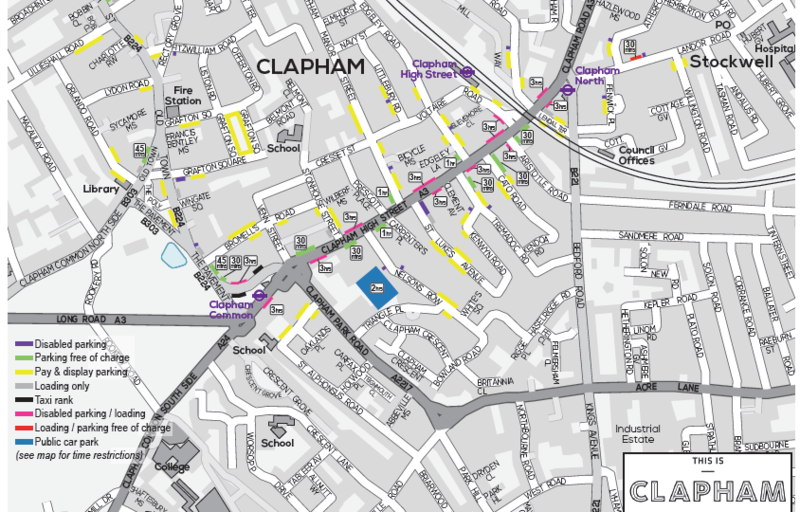 Clapham is located served by two North Line stations including Clapham North and Clapham Common. The London Overground Service also serves Clapham High Street, connecting the High Street with Clapham Junction. Clapham High Street is served buses – 50, 88, 155, 322, 345 and P5.